My very first 2-person show in Phoenix happened long long ago. I had moved to Phoenix with my 4-year-old son to start a life with my new husband (now going on 33 years of being happily married). In addition to being beyond exciting, it was a scary move in a lot of ways. I left a job, a home and many friends in the then small town of Flagstaff to move to the Big City. Finding a good preschool was one of my first priorities after settling into our new home and establishing a new family of 3. After this was accomplished I needed to find a new job as soon as possible. I started looking into and applying for a variety of arts related positions. 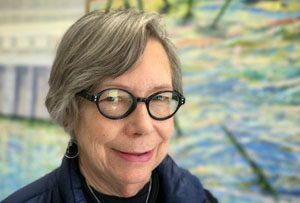 I was very lucky to receive several job offers quickly—and took the offer at the (then) Scottsdale Center for the Arts. My one job rejection came with an entirely different offer. I had applied to teach art at Phoenix College. The head of the art department contacted me to let me know that I didn’t get the position but that she liked my work and offered me a solo show in the gallery. 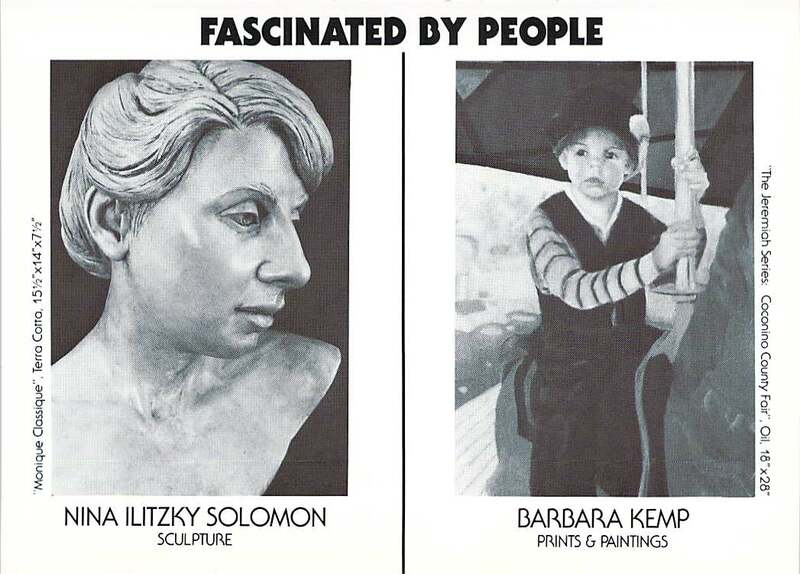 Soon after, she let me know that she’d found someone she thought had work compatible to mine and wanted to switch to sharing the space with the sculptor Nina Solomon. I still remember our first meeting, with Nina and I looking at the gallery space and then having lunch at the Chinese restaurant just adjacent to the school. We decided on a title for the show. Additional meetings happened to produce the card and eventually install the exhibit together. Next came planning the opening and then being at the opening to greet visitors. I remember the huge crowd at the opening, 95% Nina’s friends. Since I was brand new in Phoenix, a handful of people I knew came to the exhibit, but really, Nina was the star of the show. If I’d had that solo show, only a few people would have come to the opening. But even better, Nina and I became friends and to this day still remain close friends, a gift to us both. And despite all odds, we are both still working artists, as you can see in Nina’s website. 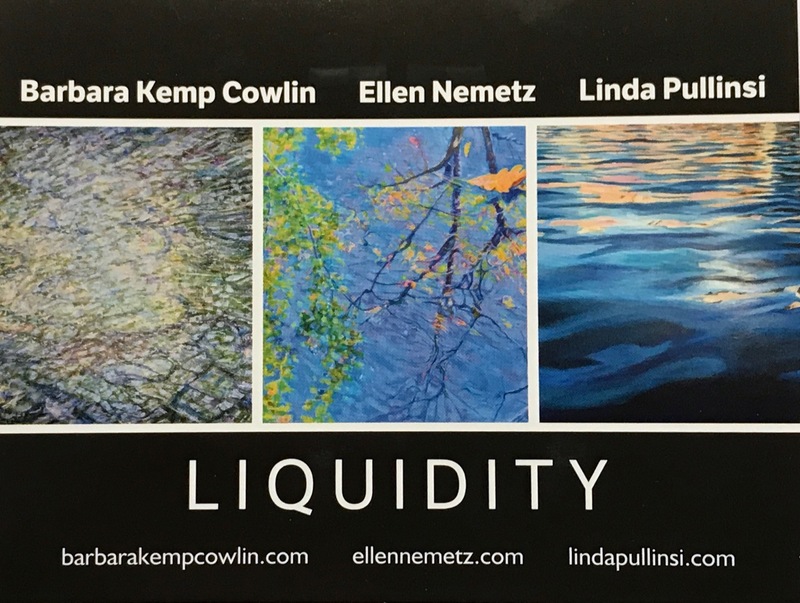 32 years later, for the month of May I’m in a 3-woman show, Liquidity, in downtown Phoenix, at First Studio with Ellen Nemetz and Linda Pullinsi. 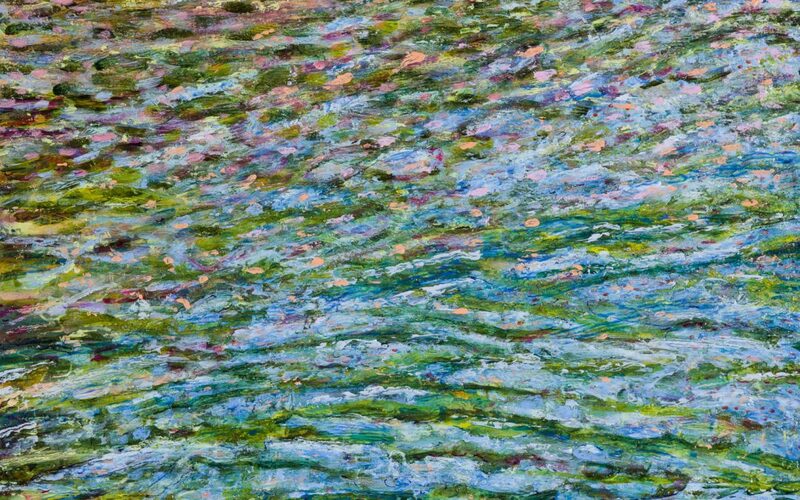 We were chosen to show together because we all use water as a subject in our paintings. First Studio is located at 631 N. 1st Ave. and the space is open 9-5 weekdays and by appointment. 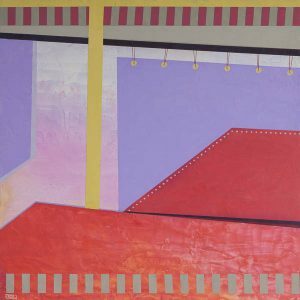 We had a First Friday reception last week and are having a second reception on Third Friday, May 19 from 6-9 pm, so readers in the Phoenix area have a second chance to see the show and meet the artists. It remains to be seen whether we will end up staying in touch, but given the generous attitudes of both Ellen & Linda, I hope that we will. It was a pleasure working with them to install the show. And the First Friday reception was fun and lively with people—many of whom were Ellen & Linda’s friends and collectors. 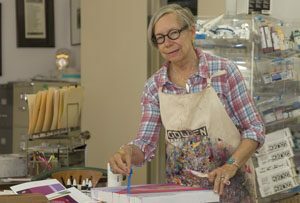 In a solo show, all the work falls on the one artist. If no one shows up for the opening it’s grim. But when all goes well, the artist gets all the glory! With a 2 or 3 person show a certain amount of give and take is needed, cooperation in dividing up responsibilities and in making sure everyone has their work shown to advantage. When the work is compatible each artists work compliments the other. The opportunity to meet new people at the openings is greater since each artist has their own group of admirers and collectors to draw from. The glory or the less-than-glorious outcome is spread among the group. In the end, I think a healthy balance of both 2 or 3 person shows and solo shows is a good strategy for artists who are trying to balance their art career.